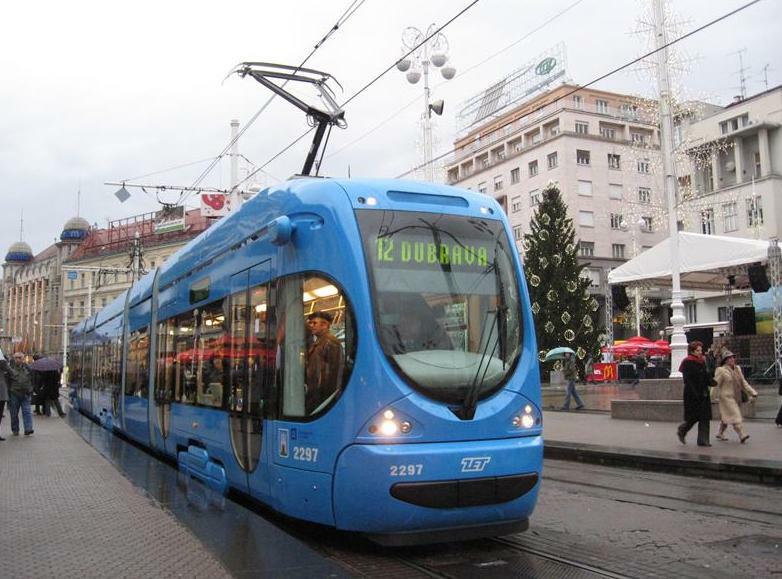 Zagreb’s public transportation system is called ZET, short for Zagrebački Električni Tramvaj. It is made up primarily of buses and trams that zig zag throughout the city and extend beyond to neighboring cities including Velika Gorica where the airport is located. The system is extensive with 19 tram lines and 117 buses. Plus Zagreb is a very walkable city, so one could easily live or visit without a car. Trams and buses run 24 hours a day, although not all lines run all the time. Get the day tram timetables here. Get the night tram timetables here. 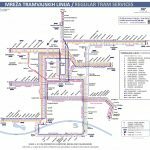 View the day and night tram maps for Zagreb here. For daily buses, get the timetables here. For nightly buses, get the timetables here. Children 7 years and younger can ride for free as long as they are accompanied by an adult. Up to three children under 7 can ride with one adult. If an adult is traveling with four or more children, they would need to pay for a ticket for the fourth child and beyond. An authorized vendor usually includes Tisak and iNovine. Per this article, it will be possible to purchase the cheap tickets on board buses and trams again from 1 April 2019, but we’ll have to see if this actually happens. Once you board, you’ll need to get your ticket stamped/validated or scan your ZET card using the yellow box. The towns of Velika Gorica and Zaprešić, as well as the municipalities of Bistra, Klinča Sela, Luka, and Stupnik, have the same ticketing system and ticket costs as noted above for Zone 1. Overall, buses tend to arrive like clockwork according to the schedule. However, beware of holidays when some outlying routes may run late if at all. You can always check the ZET News site to see if any lines are down or delayed. They always post a notice at the top of their homepage, although it is in Croatian. Also, not all stops post the schedule for the buses and trams that come through. It’s best to know where you need to go and when the bus will come before you head out if your route includes outlying areas. If traveling only within the center, most tram and bus stops include a map. At some of the busier stations, the buses tend to stack up in traffic. In that case, many of the buses will open their doors long before the actual stop. If you aren’t paying attention, it is possible to miss your bus entirely. A Sluzba Kontrole (or inspector) from ZET will board the bus to check tickets on occasion, usually during the day when there is good weather. If you purchased a ticket from a tobacco stand or tisak, make sure you get it stamped when you board. If you get caught without a ticket you can get fined with up to 800 kn. Do you have any tips to traveling the Zagreb public transportation system? Share your experience in the comments. My daughter and I are spending a month in Zagreb and I'm trying to find a monthly ZET pass…do you know if one exists? Thanks so much for the info Sara! We're having a great time in Zagreb and have figured out the transit system just fine. For now we're using the Zagreb Card which is a great deal and will buy longer term transit passes after that. I am also here in zagreb for month or more, can you guide me how can I get those monthly ZET pass and location. View the day Tram Map here, and the night Tram Map here. returns a 404-Not found when i choose the link for the day tram map. We hope to visit Croatia in mid June for around 10 days and then go across to Slovenia. Can you suggest few places of interest to see in and around Zagreb as we fly in there. We want to go to the beach latter part of our holiday too. Zagreb is a great city! I recommend checking out the museums, parks and the growing culinary scene. There are always events going on in Zagreb, especially during summer. Do you know if you can pay for singlr 4Kn tickets by card on the trams or do they only accept cash? Good question! Only cash is accepted. What is the prices for ticket for children (5 and 7 yeras old)? Zagreb recently lowered their prices to only 4 kuna per ticket if traveling less than 30 minutes. I am updating my response to reflect the most current information for child tickets. I’ve also updated the post above. If you need to travel in both zone 1 and zone 2 (for example by bus from Kvaternikov trg to the airport) do you just buy two single tickets for 4 kuna and then validate one in zone 1 and one in zone 2? Or are tickets for zone 2 different in some way and you have to specify that when buying it? From the 1st of July, the towns of Velika Gorica and Zaprešić, as well as the municipalities of Bistra, Klinča Sela, Luka, and Stupnik, will have the same ticketing system as Zone 1, even though they are considered Zone 2. Tickets are priced according to the length of the ride and not the zone. Four kn for a 30-minute ride, 7 kn for a 60-minute ride, and 10 kn for a 90-minute ride. Please clarify the reply you gave to Andraž, above. When traveling from the airport on bus 290, do I validate one 7kn ticket, assuming that I will need a total of 60 minutes, as I need to transfer onto Tram 2 and onto Trg dr. F. Tudmana? I imagine I can carry on using that same ticket when I connect on the tram? Or, am I supposed to have two 4kn tickets, one to validate on the Bus from airport and the second one to be used on Tram 2? 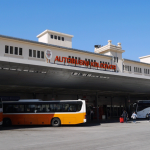 it is the duration that counts, so a 7 KN ticket should be enough to reach the airport from Kvaternik square, because the bus does full circle ride in 105 minutes, so from the square to the airport and back. Also when you switch from but to tram, if you are within 60 minute limit you should be OK. Make sure that the connecting ride will end in under 60 minutes and everything should be OK.
@Tamara, the ZET website is not very clear and I have been wondering that myself. But I don’t think that you can travel to a second zone with the 7kn/60-min ticket, but only with the 10kn/90-minute one. Or, alternatively, using two 4kn tickets, validating the first upon entry and the second when entering the second zone. ZET website says: “Zbog izmjena u tarifnoj politici, počevši od srijede, 1. ožujka, gradovi Velike Gorica i Zaprešić, kao i općine Bistra, Klinča Sela, Luka i Stupnik, pripadat će jednoj i to II. zoni u kojoj će se primjenjivati jednaka tarifna politika kakva je na snazi na cijelom području grada Zagreba, odnosno u I. zoni. 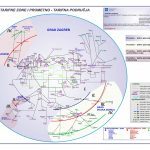 Na tom području također će se moći koristiti karte po cijeni od 4 kune za vožnju od 30 minuta, karte od 7 kuna za vožnju od 60 minuta, dok će za vožnje duljim relacijama i u drugoj zoni na raspolaganju biti karta za putovanje od 90 minuta po cijeni od 10 kuna.” Immediately after it also says that the 15kn ticket bought from the driver is valid only for one direction and within one zone. One word of caution for those using the pre-paid card, though: I tried to buy the ticket for 2-zones from the yellow machine with my card by selecting “2 zones”, and it charged me 20kn. Maybe the yellow machines are still doing it the old way, and for travel through two zones with the pre-paid card now it is enough to buy the regular 90-min ticket? I’m not sure. If anyone knows for sure, please comment! Thank you for reaching out! I think that it all comes down how long the trip is, per the instructions on ZET’s it is allowed to use a 30-minute ticket in Nova Gorica, but if their trip is taking them beyond the 30 minute mark, then of course a different ticket was needed, a 60-minute or a 90-minute one, all depending where the person is going. Regarding the ticket bought at the driver, I believed ZET just wants to point out that buying the ticket at the driver does not give you options. And the machines, they are notoriously quirky and do not do their job well? That is our understanding, at least. We would also love to hear about other people’s experiences. You’ve got a typo in the text. Says 7 Kuna for a 30 min ticket, but that should actually be 60 min. thank you for your message. Indeed we had a typo, and now it has been corrected. Thank you once again. 1. Does a 4 year old child travel for free or would need a ticket? 2. Can i buy the 72/24 hour day ticket at the airport and main bus station? 3. will the multi-day pass include travel to and from the airport? Yes, a child needs a ticket. 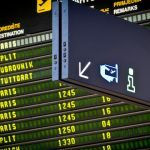 To get to and from the airport, reference this post: https://www.expatincroatia.com/how-to-get-to-from-zagreb-airport/ The quickest airport buses are operated outside of the ZET system. You could take bus 290 to Velika Gorica, but it will include a walk. The 24/72 passes would cover this. Tickets can be purchased at iNovine and Tisak locations. I dig some digging and found the policy on child tickets, which I’ve pasted below. I’ve also added it to the above post. When you say authorized vendors, who are those? and where to find them? Are there also unauthorized vendors? The authorized vendors are Tisak and iNovine. They have locations throughout the city. There are no unauthorized vendors.